Below is our privacy statement to describe our accountability to any information that we may collect, use or share with our customers be it personal or general. 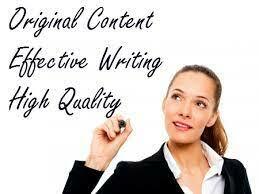 Article-Web Content Writers highly regards the privacy rights of its customers. We collect personal identification information from our users to help us offer better services. The kind of information we collect includes name, mailing address, telephone numbers, email addresses, credit card information and other information that may be needed for providing the services requested by the User. Also, we collect general information like site visitation by customers and most accessed Web Pages to help us identify what we need to improve on our website and particularly our services. We may share your information to our business partners or/and if required by the law and this is to expound on our integrity and to protect our rights and if necessary to allow a judicial proceeding or legal process detailed on our website. Any posting of information through our chat room may be viewed by fellow users; however, we do monitor such shared content. Some of the information we collect is through Cookies, which are small pieces of data that are sent to your browser from a web server and are stored on your computer's hard drive and help us identify the user. The information we collect with cookies is not for sale, rent, or for sharing with any outside parties. We, however, allow a user the choice to modify his/her browser and thus to reject the Company's cookies. This though will limit the user to successfully use our Services. We employ high-security standards on user information in order to prevent unauthorized access to the customer information and to withhold data accuracy and enhance the correct use of information. 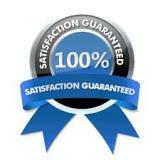 This we achieve by reserving the administrative rights to the right system administration personnel only.